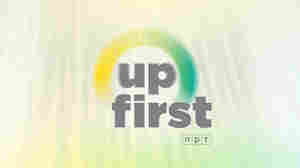 Up First NPR's Up First is the news you need to start your day. The biggest stories and ideas — from politics to pop culture — in 10 minutes. Hosted by Rachel Martin, David Greene and Steve Inskeep, with reporting and analysis from NPR News. Available weekdays by 6 a.m. ET. 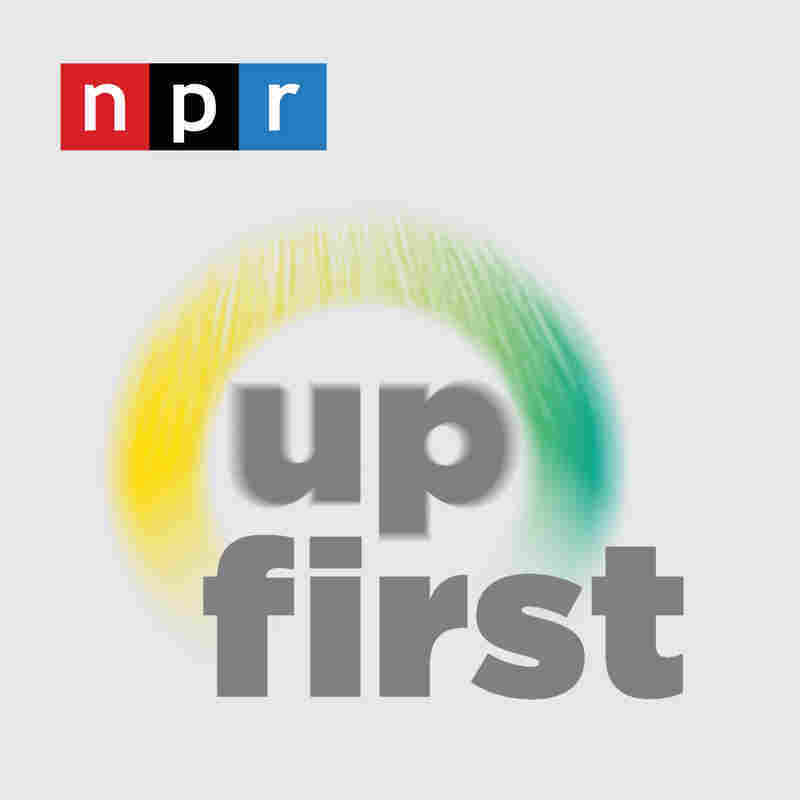 Subscribe and listen, then support your local NPR station at donate.npr.org. April 20, 2019 • Fed up with government inaction, young people start rebuilding Mosul on their own. But in post-ISIS Iraq, volunteering can quickly become an act of rebellion. We're sharing a bonus episode of NPR's Rough Translation. April 19, 2019 • Robert Mueller's report did not indict the president but detailed efforts to derail an investigation. What do Democrats do as the president claims victory? And protesters finally forced Sudan's president from power last week. But their demonstrations haven't stopped. What do they want next? April 18, 2019 • The 448-page document, released today after a nearly two-year-long inquiry, says Mueller's investigation did not establish that the Trump campaign "conspired or coordinated" with the Russian interference effort, which was described as "sweeping and systematic." The NPR Politics Podcast breaks down everything you need to know about what's in the report. April 18, 2019 • We don't know what's in the Mueller report, but people already have opinions. What bothers Democrats about the timing of today's release? President Trump sounded optimistic even after his last meeting with Kim Jong Un broke down. So why is North Korea now testing new tactical weapons? And life after death? Scientists gathered pig brains from a slaughterhouse to see if they could be revived. It seemed to work. So what are the ethical implications? April 17, 2019 • Pledges of hundreds of millions of euros are rolling in to pay for the planned reconstruction of the Notre Dame Cathedral. What are the biggest challenges when it comes to this rebuilding project? President Trump has proclaimed his distaste for the system that allows asylum seekers to claim the legal right to be in the United States. He objects that some are released as they await asylum hearings. Is it legal for the U.S. to keep them in detention instead? And the world's most populous Muslim country, Indonesia, votes in a presidential election today. How did one candidate's flirtation with conservative Islam affect his chances? April 16, 2019 • It took generations to build the Notre Dame Cathedral. Yesterday its spire burned and fell within hours. How much of the building beneath that spire survived? Some 2020 democratic contenders are releasing their tax returns. How much money do candidates like Bernie Sanders have and how's it impact his critique of the wealthy? And public health officials warn of a significant rise in measles cases. What's driving the resurgence of a virus that seemed wiped out in the U.S. two decades ago? April 15, 2019 • The leaders of so-called sanctuary cities are rebuking a proposal floated within the White House to drop off asylum seekers in their communities. What triggered the president to promote an idea lawyers rejected? The White House also generated news coverage by promoting a fight with a Minnesota member of Congress. Republicans highlighted Rep. Ilhan Omar's remarks about the aftermath of 9/11. How are Democrats defending her? And it's the beginning of the end for Game of Thrones. This is not a metaphor about the presidential campaign, just a hit show. What's its cultural legacy? April 12, 2019 • The president surprised many in 2016 by cracking the so-called blue wall, winning the states of Wisconsin, Michigan and Pennsylvania. How are 2020 Democrats planning to build that wall back up again? Three historically black churches burned in Louisiana over the course of 10 days. A 21-year-old man is now in custody, charged with arson. What impact is this having on the community? And Omar al-Bashir has ruled Sudan, often callously, for three decades. After months of protests, he's been ousted in a coup. But with the military now in charge, is there any hope for a transition to democracy? 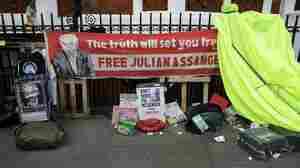 April 11, 2019 • WikiLeaks founder Julian Assange was arrested in London Thursday, British police said, ending the long tenure of the anti-secrecy activist in Ecuador's embassy. The U.S. Justice Department announced they have charged him with conspiracy to commit computer intrusion and faces up to five years in federal prison if convicted. April 11, 2019 • The Attorney General makes a bold claim about the 2016 presidential election, saying that he believes spying did occur on the Trump campaign. William Barr says he now wants to investigate the origins of the special counsel. One of the biggest tabloid names, recently embroiled in controversy, is up for sale. The National Enquirer has been the subject of federal investigations connected to President Trump and Amazon CEO Jeff Bezos. Were the negative headlines too much for the purveyor of negative headlines? And the world's largest ever democratic exercise is under way in India. 900 million people are eligible to vote in a marathon six-week national election. Will Prime Minister Narendra Modi get a second term?